If you are like most people who struggle with weight loss and exercise, hiring a Minneapolis personal trainer can change your life. Without a background in nutrition and fitness, it’s very hard to figure out the perfect balance between exercise and dieting for your body. People have different needs that can change depending on their age, health conditions and fitness skills. An exercise routine that is perfect for someone else can be counter productive, and even dangerous, for you. A personal trainer can teach you how to minimize the risk of injuries and maximize the benefits of every single workout. Working with a professional personal trainer is simply the best way to attain your goals quickly and safely as well as to learn invaluable fitness tools you can incorporate into your routine to stay healthy and happy throughout your life. Personal trainers are experts at assessing their clients’ needs in order to create a customized routine that works for them. A personal trainer will listen to your goals, evaluate your skills, and come with a program that can help you get the most out of every workout and reach your objectives faster. Although many people see personal trainers as a luxury, there are a few reasons why hiring a Minneapolis personal trainer is more of a necessity than a disposable expense. One of the most challenging aspects of following a fitness routine is sticking to it for the long term. Most people are eager to start a new routine but become bored and discouraged as they get used to it. A personal trainer can help you stay on track by changing up your exercise program and inspiring you to succeed. 2. improved safety and efficiency. Your Minneapolis personal trainer can teach you how to properly perform different types of exercises. Learning how to do exercises correctly will increase the effectiveness of every workout and help you avoid serious injuries. In today’s busy world, most people have a very limited amount of time that can be dedicated to fitness. If you lead a busy lifestyle, it’s important to focus on effectiveness and efficiency when it comes to your exercise routine. Hiring a professional personal trainer is the best way to make every minute of your workout count. With expert help and hard work, you can stop wasting free time on ineffective workouts and reach your fitness goals faster. 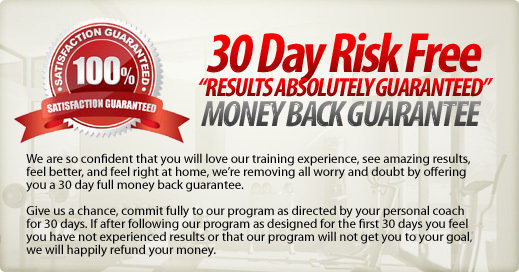 The benefits a professional personal trainer provides simply can’t be replicated on your own. Fitness professionals have extensive experience in helping clients achieve their goals and lead healthier lives. In a way, hiring a Minneapolis personal trainer is an investment into your future. A personal trainer will not help you achieve short-term goals, he can teach you how to create a healthy lifestyle you can follow for the rest of your life.